Richard Cordray (left) and Dennis Kucinich. "It's a matter of who turns out,'' said Mack Mariani, associate professor and chair of the political science department at Xavier University. "Cordray is probably still the heavy favorite, but the question is, will they turn out for Richard Cordray?" Hamilton County Democratic Party chairman Tim Burke, who is backing Cordray, said it is a race that is impossible to predict, although he believes Cordray will win. "Nothing is wrapped up until the voters vote,'' said Burke. "Elections aren't over until they're over." 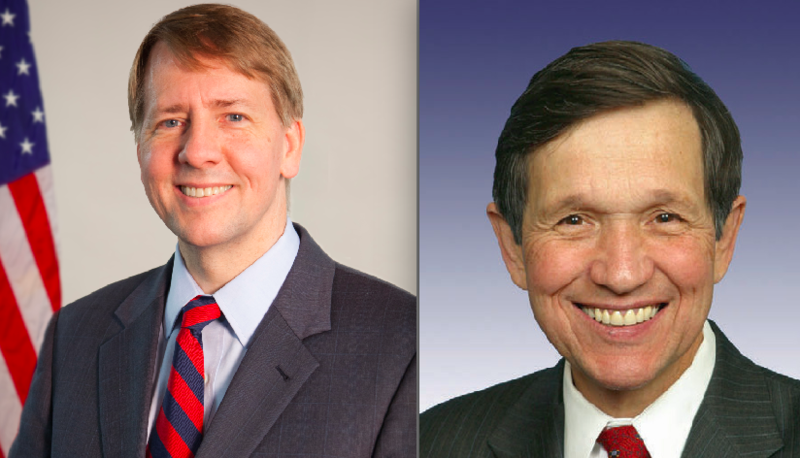 You've got two candidates in Cordray and Kucinich who are polar-opposites in terms of personal style. Corday: Low-key, thoughtful, steady, genial but somewhat staid; a man who doesn't often deliver a high-decibel, tub-thumping speech. And Kucinich: the former congressman and Cleveland mayor whose off-beat ways are well-documented; who has never met a microphone he didn't like; a politician who talks a mile a minute; and who has talked about having seen a UFO from the backyard of his friend, actress Shirley MacLaine. So, what does the public polling say? First of all, there's not much out there. A poll by the Fallon Research firm of Columbus, released in mid-April, was commissioned by The 1984 Society, a group of former Ohio Senate employees, which has been supplying lobbyists and businesses with polling in both the Republican and Democratic gubernatorial primaries to help them decide where to spend their money. The Democratic side of the poll interviewed 500 likely Democratic primary voters and has a margin of error of 4.38 percent. And while it showed that over half of the likely Democratic voters were undecided, Cordray had a substantial – although not insurmountable – lead with 27.5 percent, compared to 13 percent for Kucinich. The other Democrats in the gubernatorial race barely registered in the poll – State Sen. Joe Schiavoni was at 5 percent, while former Ohio Supreme Court justice Bill O'Neill, Larry Ealy, and Paul Ray all came in with less than 5 percent. The poll opened some eyes when it showed that Cordray was leading among voters in northeast Ohio – Kucinich's home turf. If that is true, Burke said, "that makes all the difference. If Cordray wins Cuyahoga County, it's over." Monday night, Kucinich showed up for the opening of a new satellite campaign headquarters in South Euclid, a Cleveland suburb. The Kucinich campaign said in a press release that it is "mounting an all-out effort to make sure that voters are contacted and persuaded to support the local candidate who had represented northeast Ohio for almost 40 years." Some would interpret Kucinich opening a second campaign office in his home county as a sign that he is worried about losing northeast Ohio. But maybe it is just a matter of covering his bases. Take no chances. Set in concrete the support that is already there in the Cleveland area. Steve Reece, a Cincinnati Democrat with decades of organizing among African-American voters, said that he is backing Kucinich and doing what he can to get black voters out for the former Cleveland mayor. "He did some innovative things for African-American-owned businesses when he was mayor,'' Reece said. "And he is the only candidate who has a black running mate. He cares about diversity." Kucinich chose Tara Samples, an Akron city council member, as his running mate. Reece said he has been advising Kucinich to do advertising on black radio stations, with his running mate delivering the message. Kucinich will win Cuyahoga County, Reece said, while Cordray is likely to win Franklin County. "Hamilton County will be the key,'' Reece said. "Dennis can win it all here." David Niven, an assistant professor of political science at the University of Cincinnati, said he thinks the primary is Cordray's to lose. 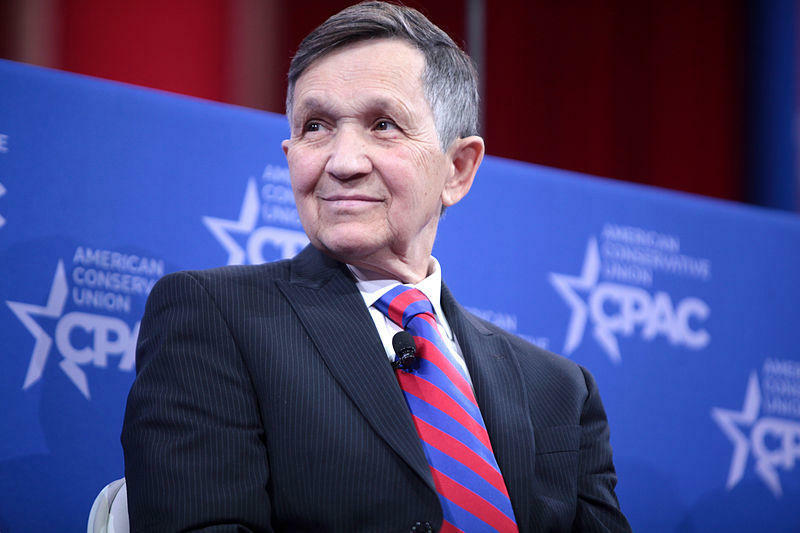 "Kucinich will fizzle out on the number of personal quirks he has,'' Niven said. His constituency, Niven said, "is a Bernie Sanders constituency. They are angry; they like an anti-establishment candidate like Kucinich. But, in the end, there probably aren't enough of them." As a general election candidate against an old pro like Mike DeWine, the front-runner in the GOP gubernatorial primary, Kucinich "would be a disaster of major proportions," Niven said. "The sights and sounds of Richard Cordray aren't going to excite a lot of people,'' Niven said. "But he is accessible and competent." Richard Cordray at a 2010 event. And he can run on a populist message, Niven said. 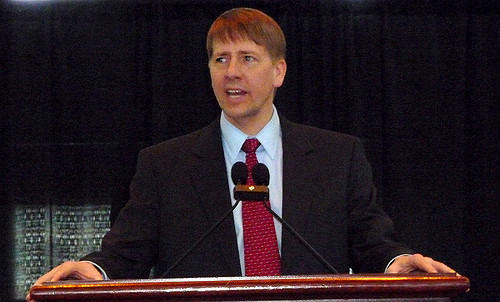 Cordray, as head of the Consumer Financial Protection bureau, went after banks, Wall Street, pay day lenders and others and recovered $12 billion those institutions owed to consumers. "That's a pretty powerful message – 'I got $12 billion for you folks','' Niven said. "That's a good issue to run on in the general election." But to use it, Cordray must get through next Tuesday's primary. And, quirky or not, Dennis Kucinich is in the game. Get some sleep before Tuesday night, Ohio Democrats. Could be a long night. 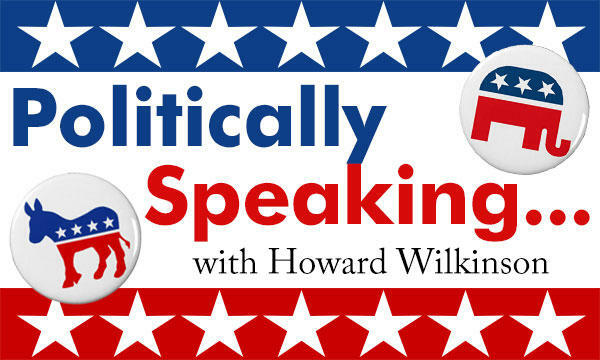 "Politically Speaking" is WVXU reporter Howard Wilkinson's weekly column that examines the world of politics and how it shapes the world around us. 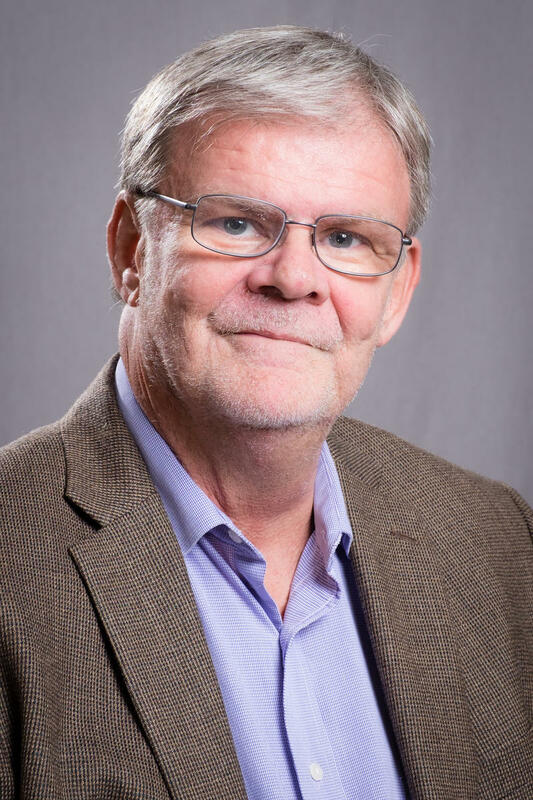 Wilkinson has covered every Ohio gubernatorial race since 1974. Read more of his columns here.